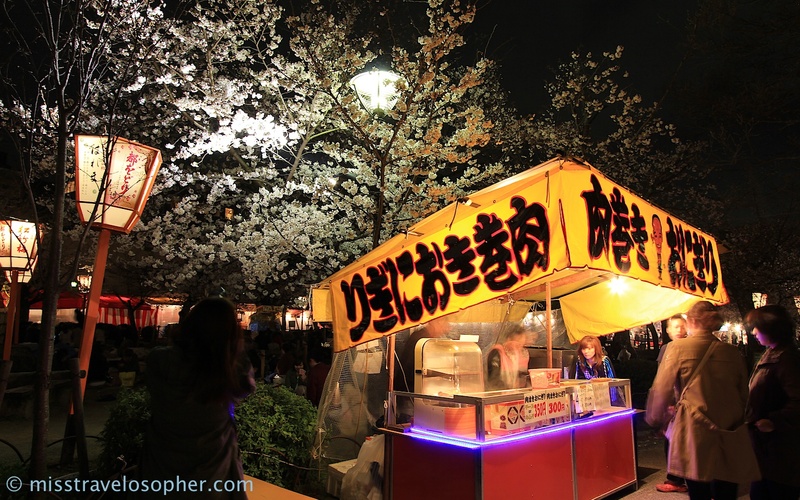 Maruyama Park (円山公園, Maruyama Kōen) is a popular spot in Kyoto for cherry blossoms viewing (hanami 花見) during the sakura season. 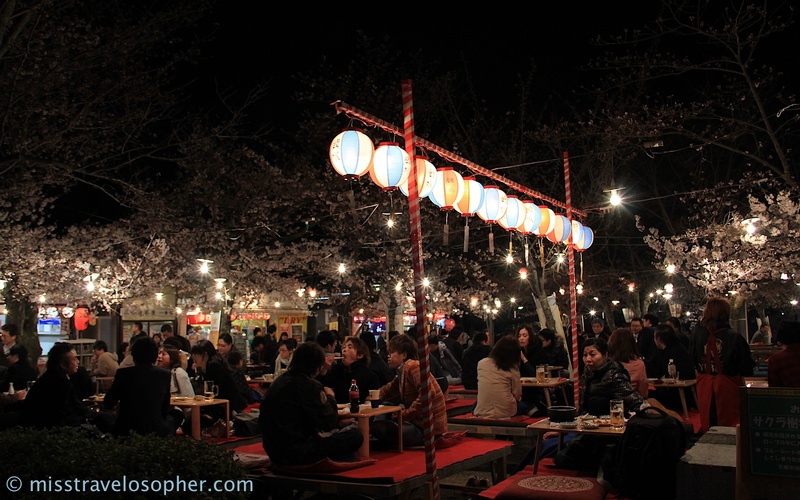 It is open to public and is easily located as it is just a short walk from the famous Yasaka Shrine (八坂神社, Yasaka Jinja) at the Gion / Higashiyama district. 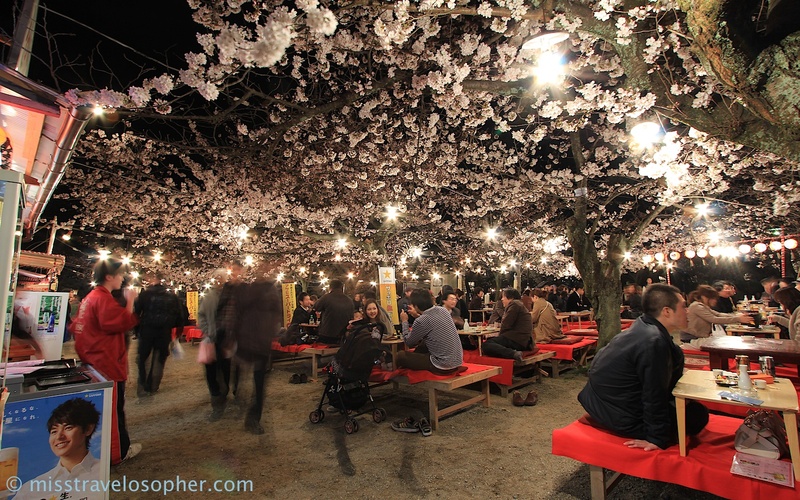 During the cherry blossom season, the park springs alive with many people crowding under the trees for hanami parties – drinking and merry making till late into the night. 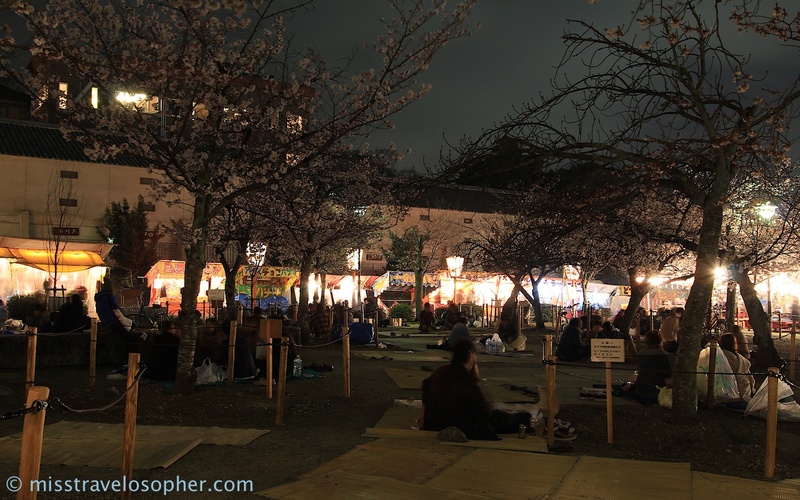 Viewing the sakura flowers at night (yozakura 夜桜) is also one of the things not to be missed. As the sakura flowers are white in colour, its beauty is usually understated when viewed against white cloudy skies. 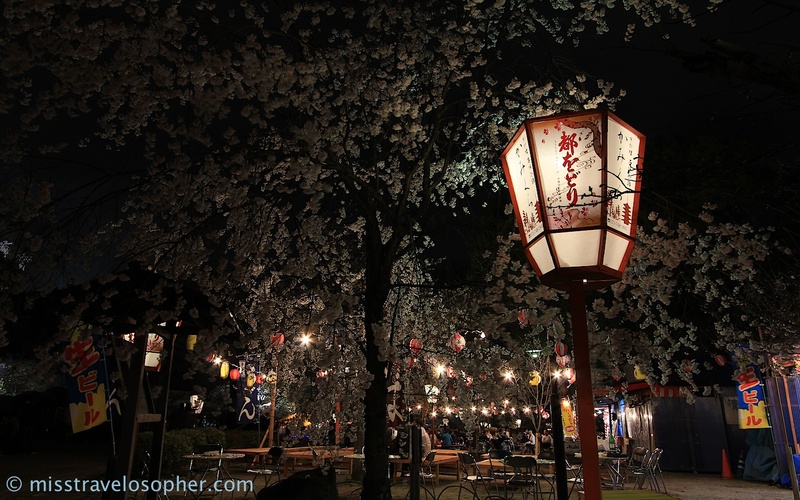 Viewing the illuminated flowers against the dark night skies brings unworldly beauty to the already astounding sakura trees. 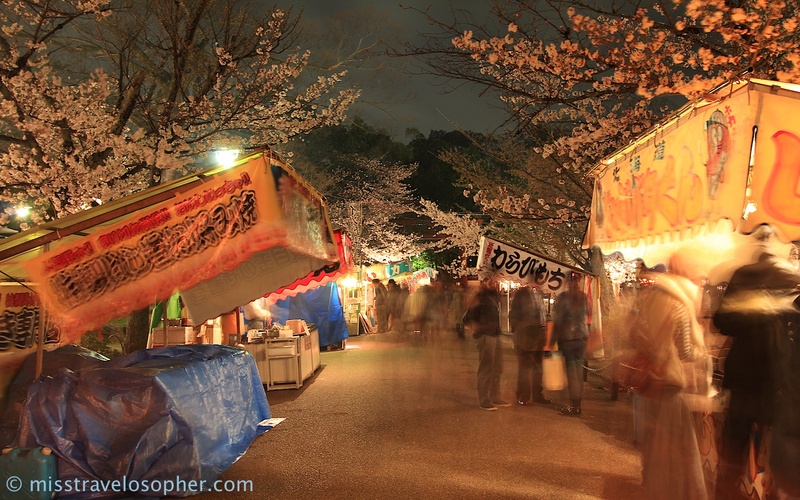 Armed with my tripod and SLR, I went to Maruyama Park over the Good Friday weekend to indulge in some hanami yozakura fun. 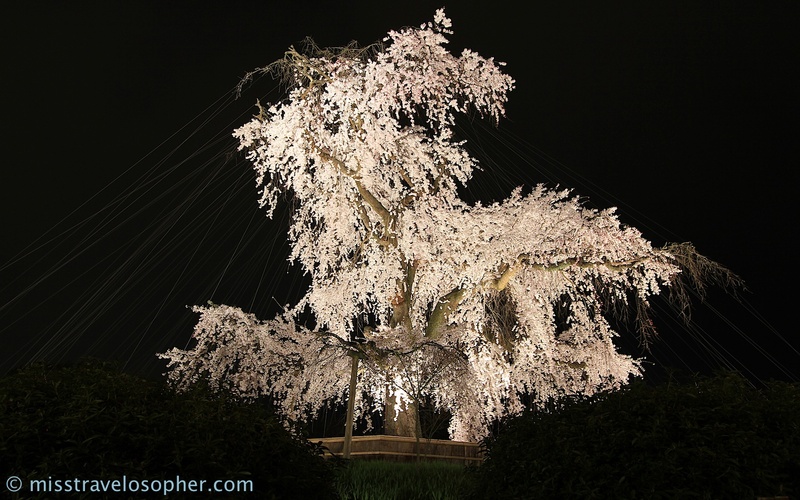 Another reason people flock to Maruyama Park is to view the pride and star of the park – a gigantic 40-foot weeping cherry tree (shidarezakuraしだれ桜) which is over 80 years old. This is a 2nd generation tree which was planted from the seeds of the original 200-year tree which died in 1928. 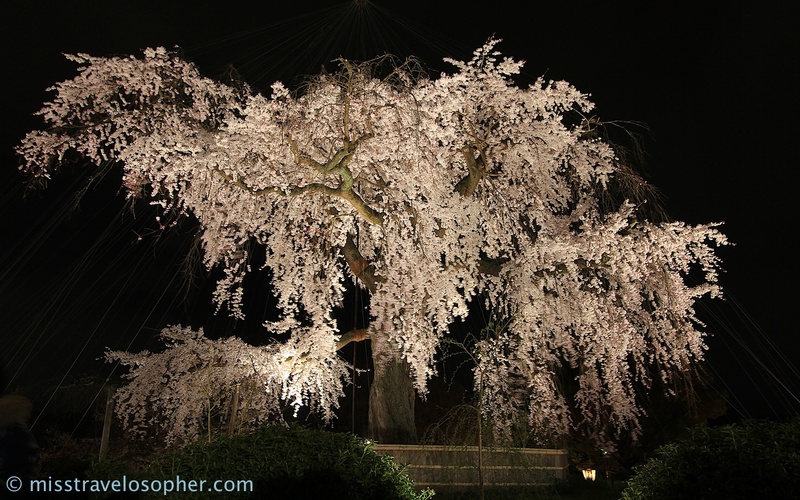 The current cherry tree is simply breathtaking when illuminated against the dark skies! 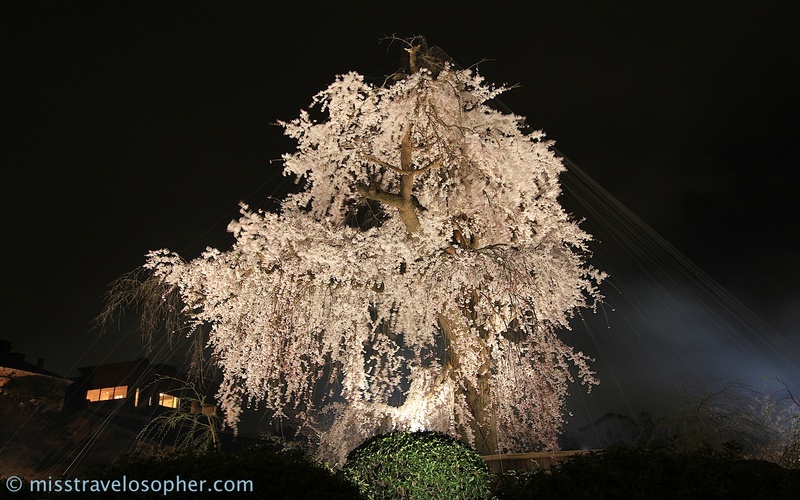 The cherry tree is planted on a small hill mound and fenced up so it was not possible to get near the tree. I took pleasure in photographing it from various angles as the tree took on a different shape when viewed from different spots. 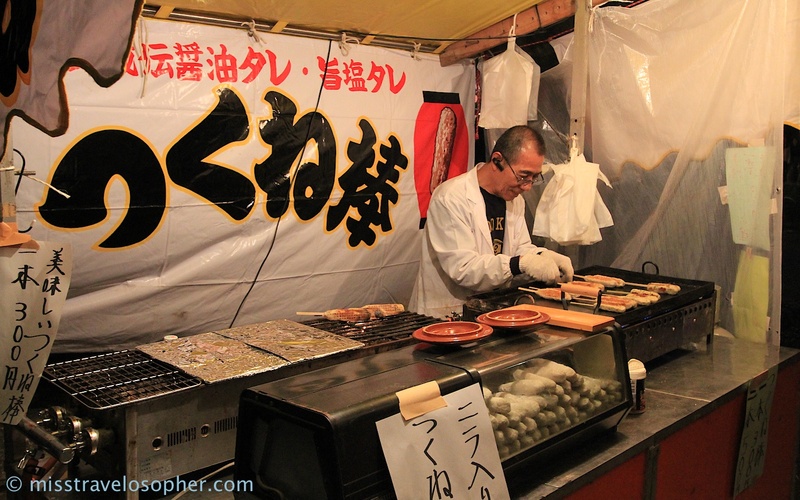 There were lots of food stalls set up around the park and the atmosphere was almost carnival-like. Below is a series of amateurish attempts at taking some artsy shots 🙂 I mounted my camera on a tripod, reduced ISO to 100 and used shutter priority (Tv) to lengthen the time taken for the shutter to close. 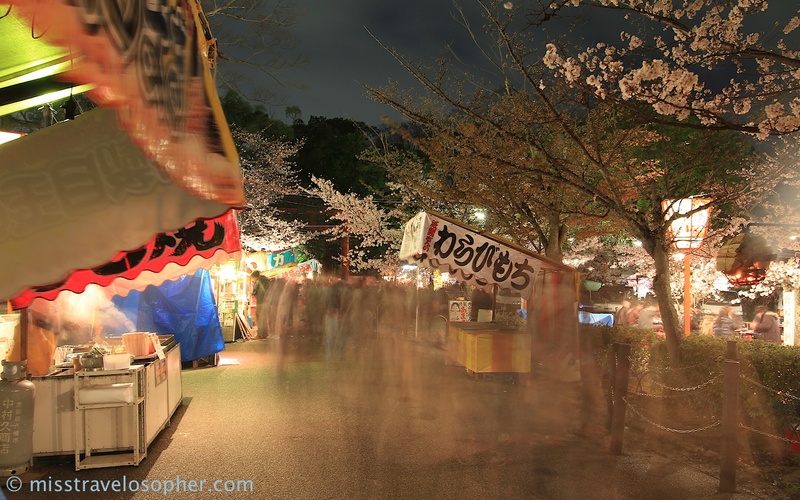 The nightly illuminations start when the sakura blooms and ends around mid-April. 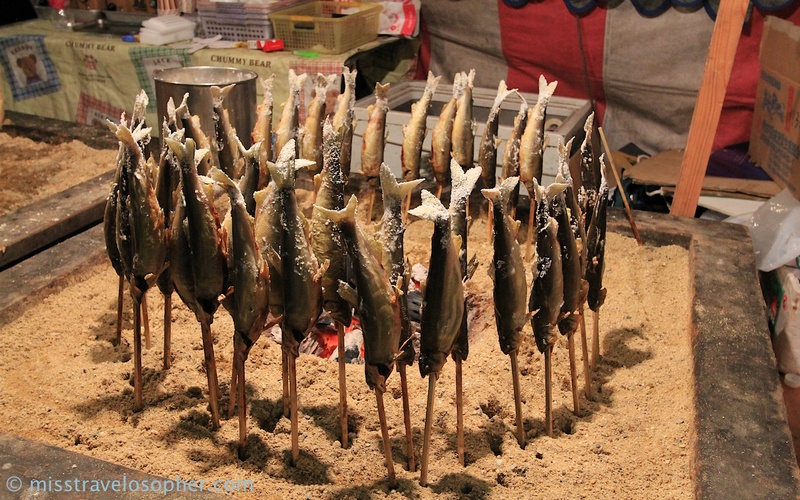 Daily light-ups during this period from nightfall till around 1am. 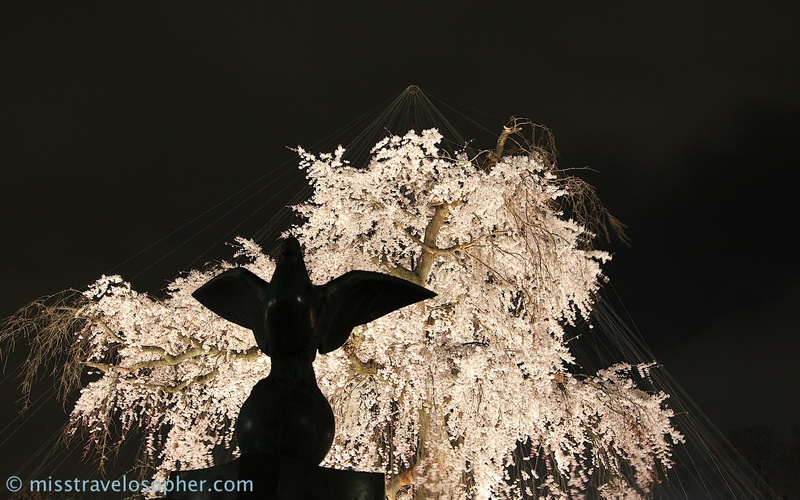 By Bus: From Kyoto Station, take bus 100 or 206 and alight at Gion bus stop (around 20 min). 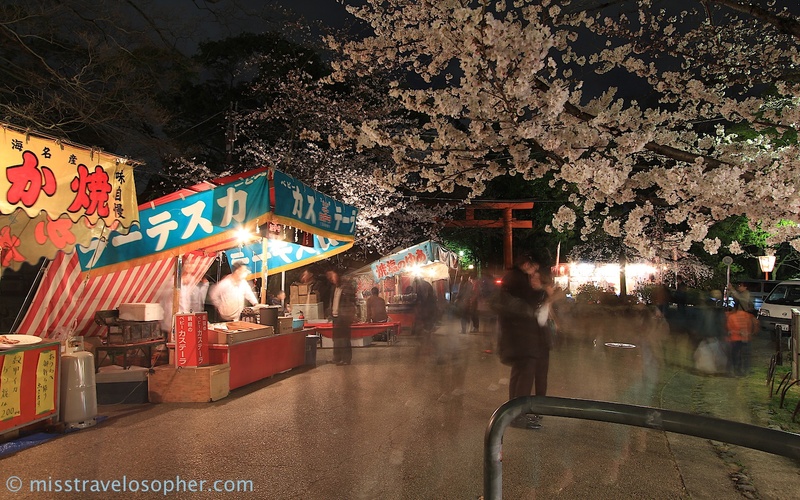 Walk through Yasaka Shrine to access Maruyama Park. 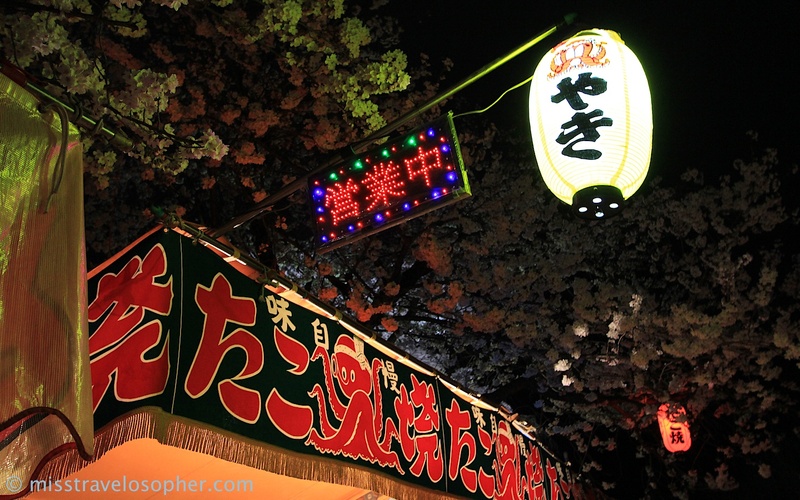 By Subway: Alight at nearest subway station at Gion-shijo.